Concerned: VOCAL support workers Kerrie Thompson (left) and Rachael Garrick outside the Silk Hotel in Newcastle. Even the hotel’s owner said it was not “ideal” for women because it was primarily for men. Picture: Simone de Peak. A WOMAN fleeing domestic violence chose her car rather than a NSW Government-referred “last resort” Newcastle hotel room in March, prompting questions about a system that puts traumatised women in emergency accommodation with men, including men on parole. The woman was referred to the Silk Hotel in Hunter Street after ringing the Domestic Violence Hotline following a violent assault. But on Monday even Luke Fitzsimmons described his hotel as a “last resort” facility mainly used by men. It was not suitable for children, not “ideal” for women, and he could understand a traumatised victim of domestic violence might choose her car rather than a facility surrounded by men. His hotel was used by NSW Corrective Services for “people who have left jail who need a place to stay” or men out on parole, and he was not advised of their criminal background. A small percentage of people referred for emergency accommodation “want to trash the room or they want to do drugs”. 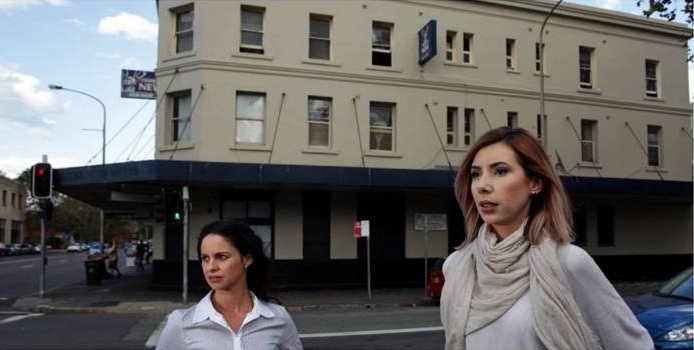 In a complaint to Family and Community Services Minister Brad Hazzard on the woman’s behalf, Victims of Crime Assistance League (VOCAL) support worker Rachael Garrick said the Silk Hotel “should not be offered to women through the Domestic Violence Line under any circumstances”. Ms Garrick made unsuccessful attempts to find alternative accommodation for the woman after a violent assault, and was advised by the Domestic Violence Hotline that all women’s refuges were full and “all that was available to her was the Silk Hotel”. “My client opted to sleep in her car,” she said. Ms Garrick was critical of a system that gave the impression the Domestic Violence Hotline provided a specialised service, while both domestic violence victims and homeless people could be streamed to the same emergency accommodation. “We’re not asking for five star accommodation. We’re just asking for safety,” Ms Garrick said. Mr Fitzsimmons said five of his 20 rooms were available for emergency accommodation, and in the year he has owned the hotel he has made improvements and significantly upgraded security. A Family and Community Services spokesperson said the department no longer referred women and children to the Silk Hotel after an investigation earlier this year.